Welcome to Napkin Folding Guide. Here’s the wonderful Bishop’s Hat Napkin Fold. With this fold it can be difficult to line up the corners in the cap. This fold may take a few minutes or so but creates an amazing display to delight your guests. 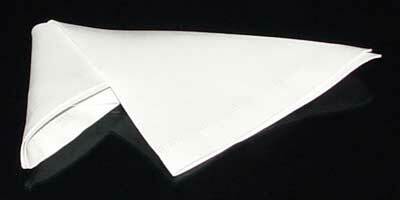 This is a classic dinner napkin fold, but it can be difficult to line up the corners in the cap. Some starch and an iron make it easier to be precise while folding this one….and yes I know it’s not sitting in the center of the plate, next time I’ll stay out of the cooking wine, I promise. 1. Lay the napkin face down in front of you. 2. Fold the dinner napkin in half so that the open end is towards you. 3. Fold the far-right corner diagonally towards you, resting the point in the center of the side closest to you. 4. Fold the near-left corner diagonally away from you, resting it so that it lays right next to the previous fold. 5. Flip the napkin over and orient it so it points to the far-left and to the near-right. 6. 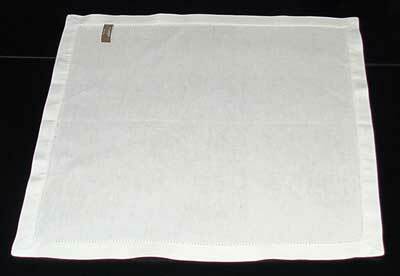 Fold the bottom half of the napkin up and away from you, laying it so the far edges run on top of one other. 7. Reach underneath of the napkin and pull out the flap on the right, making the near-side come to two points as seen in the picture. 8. Gently roll the left half of the left triangle over and tuck it’s end underneath the right triangle. 9. Flip the napkin over, points pointing away from you. 10. Fold the right-triangle to the left, tucking it’s end into the other triangle. 11. Open up the hat and press the material inside down to fill it out so that it becomes circular, this may take a little fidgeting. There you go, now all you need is a little bishop to wear it.